Discussion in 'Cigars' started by Starz26, Nov 5, 2009. Let me see what all the hype is about. irratebass, UPTOWNSMOKE, iam6884 and 10 others like this. NPLopez, php007, Jbb1959 and 23 others like this. NPLopez, zyxwvutsr, Jbb1959 and 15 others like this. php007, themaindude, zyxwvutsr and 20 others like this. Found a really nice place with a lounge about a 40 minute drive from work. Couldn't resist. NPLopez, zyxwvutsr, Jbb1959 and 18 others like this. NPLopez, zyxwvutsr, Jbb1959 and 19 others like this. NPLopez, Jbb1959, irratebass and 16 others like this. Hopduro, ascrivner, CVAC085 and 4 others like this. 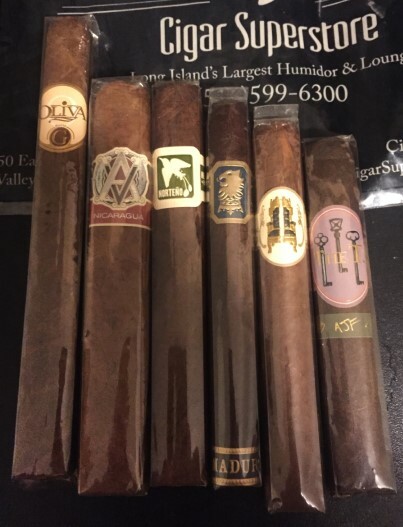 Two cigars from a local lounge: Illusione 88, and The Chief All Hands. zyxwvutsr, Jbb1959, irratebass and 13 others like this. irratebass, ak2000, Drexell and 1 other person like this. Picked up a couple cherries on the way home. NPLopez, K Williams, zyxwvutsr and 11 others like this. NPLopez, Jbb1959, irratebass and 13 others like this. I'm a BLTC whore. Impulse buy, hopefully they're good. 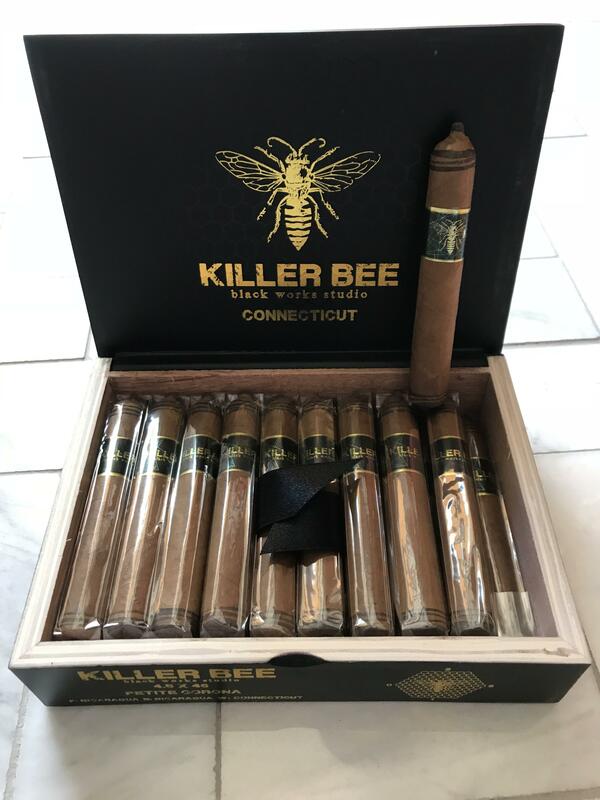 Worse case, yard gars for summer...? GreenGo was probably the best of the original run. Looks like they updated the packaging. akpreacherplayz, CVAC085, Dran and 3 others like this. NPLopez, php007, zyxwvutsr and 16 others like this. NPLopez, Jbb1959, irratebass and 9 others like this. NPLopez, Opforty, irratebass and 9 others like this. 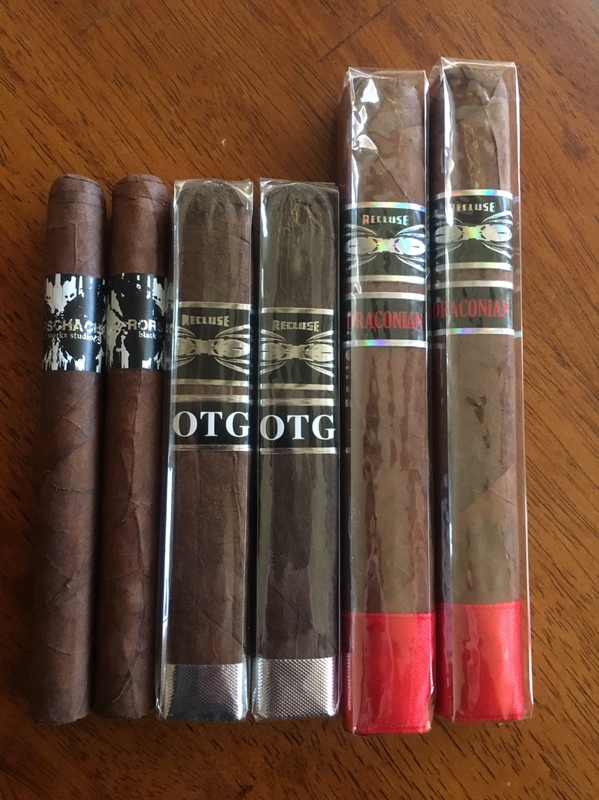 Might have gone overboard on CigarBid this week. NPLopez, zyxwvutsr, Jbb1959 and 10 others like this. NPLopez, Jbb1959, irratebass and 14 others like this. NPLopez, Opforty, zyxwvutsr and 19 others like this. NPLopez, php007, zyxwvutsr and 18 others like this.